Very helpful, great breakfast and other meals. Also helpful with adjusting spices for sensitive people. Room size is very good also cleaniess. Hotel staff were curteous and helpful. Delightful food is served with pleasant smile. 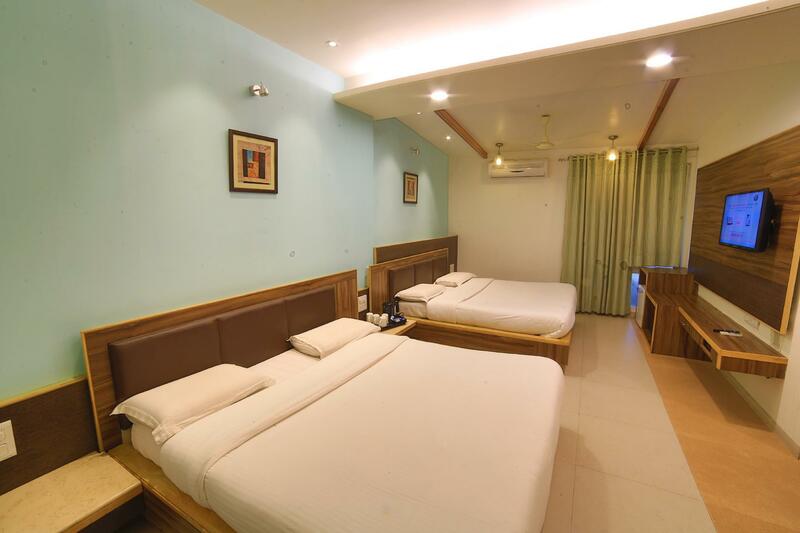 Additionally for our case hotel provided cloak room facility for our luggage so that we can roam in the mount abu without any burden of luggage. After roaming when we came back they provided room for child care and toilets without any hussle. It was nice gesture. 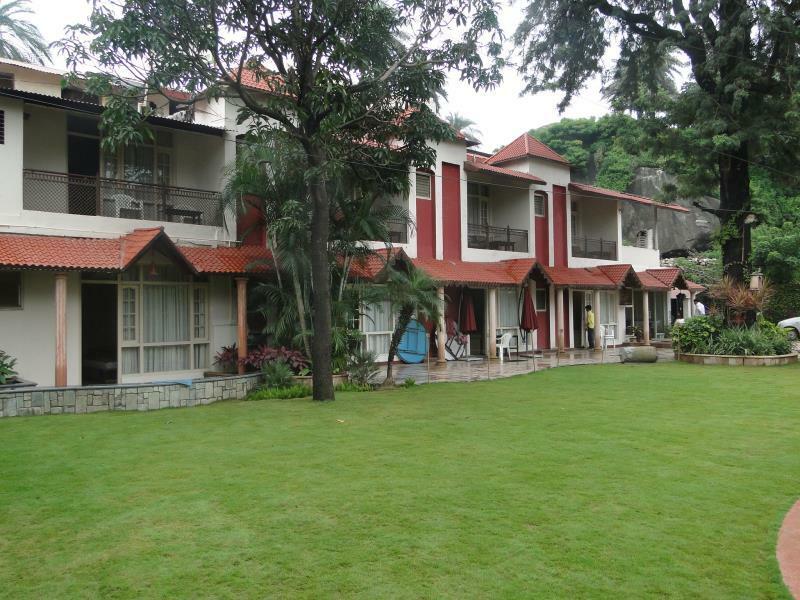 I would syrongly recommend this hotel for staying at Mount Abu. We booked through Agoda.com and checkin was smooth. We stayed there for two nights in the first week of December. The room we booked was the one with garden view. However, it is on the ground floor and you can actually see the parking and entrance to the hotel on the left side. The garden too is really small. So, it is really not worth the view.The hotel has no restaurant and they have a cosy place on the first floor where people could eat. When we went on the first day, there were a group of travellers who had got their own food and occupied the entire space. But they were courteous enough to offer space when they saw us. The breakfast is okay and being in the hills one should not expect a lot of variety in. But we had drinking water in plastic glasses which is really not done considering the amount of money spent on the hotel. The next day we had a family staying in the next room and the kid was just running and playing in the corridor. There were bed bugs for both nights in spite of the room being cleaned which gave me a tough time. The hotel is very expensive when you take into account the quality of service provided - no central heating during winter months, only one napkin per room, towels that are not properly cleaned. The hotel provides only bath gel, but does not provide shampoo or wash cloth to use with bath gel. The shower cubicles do not have shower curtain so that all the shower water spills on to the floor. The hotel does not provide any bath mats to soak up the water, making the bathroom floor very slippery. 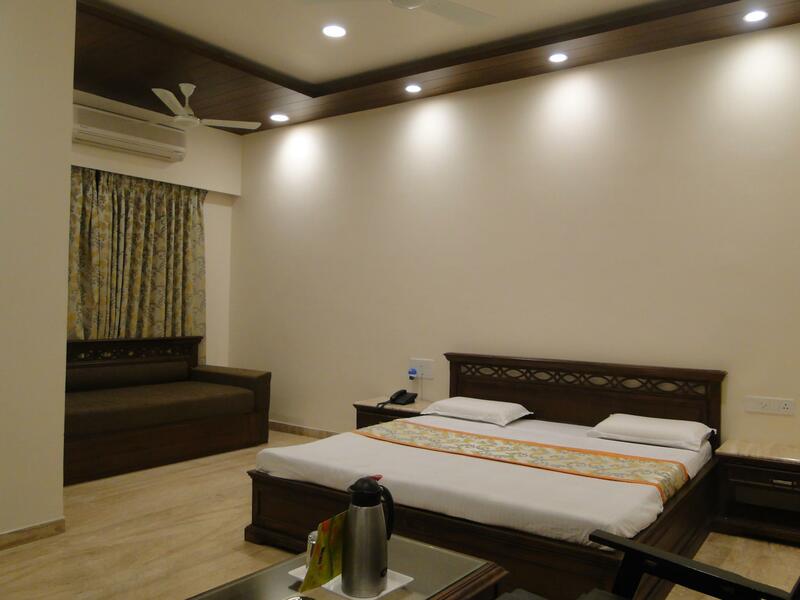 The rooms are spacious and clean and has basic facilities, although they do charge for extra sugar./cream. The Wi-Fi is slow. If you are paying more than 4,000 rupees per night, you are paying more than what the hotel is worth for. very nice hotel, family room and beds were very large for our family of 4. 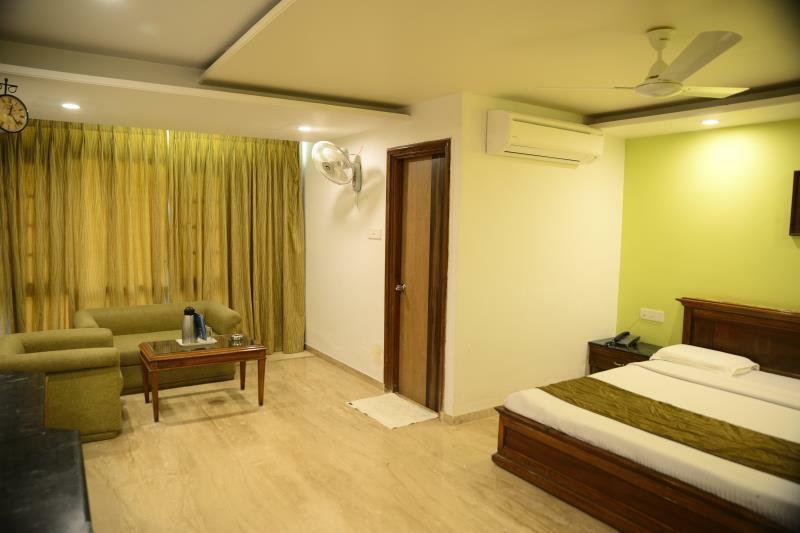 The rooms and bathroom was very clean, the staffs were very cordial and helpful. Best attraction for the kids (and for the older kids) were a puppet show and magic show... absolute value for money. It was good stay with excellent service but the B/F could be improved. The puppet show for the guests was very good. The place has the potential to be a great hotel, unfortunately this is unrealised. On a positive note the driver they recommended and we used was great. The toilet stank of urine, and remained so despise our repeated objejctions, and informing the hotel management. The passage between the rooms was so narrow that two people could not cross each other. The roo. interiors were very musty. It's very close to market area. We decided to have no-veg dinner and went out around at 9 and returned back to hotel around 11 pm. hotel is situated very close to main area , so it was safe to move around with family even at late night. The hotel is bit expensive if you compare the room rent charges. They demand extra charges for room heater. I was concerned that the person checking us in tried to retain my passport and tried to claim that he had returned it. It was only when he realised that I was not going to back down that he returned my passport. I don't have his name but I do have a photograph of him. Rooms were awesome. Front lawn wonderful. Wonderful location and atmosphere. Staff were very cordial and accommodating. Rooms were spacious and airy.. We had a lovely time and children thoroughly enjoyed the front lawn. Only request to develop the in house restaurant.Overall a wonderful experience. Definitely would like to stay again. Food was reasonably good, their outdoor dining facility by their small garden is relaxing, proximity of the hotel to all the locations is good. It was better than what we had expected.The rooms/linen can be cleaner. But overall, a good experiance. Overall fine. But three dampeners; 1. Linen quality n hygiene not good 2. Rooms not built to provide insulation from noisy co-guests 3. Our car got dented in the hotel parking. However till checkout no one owned up for it, pretending it was already there.